Located on a newly discovered island of Takamaka, off the shores of Seychelles Isle is a place of mystery and intrigue. 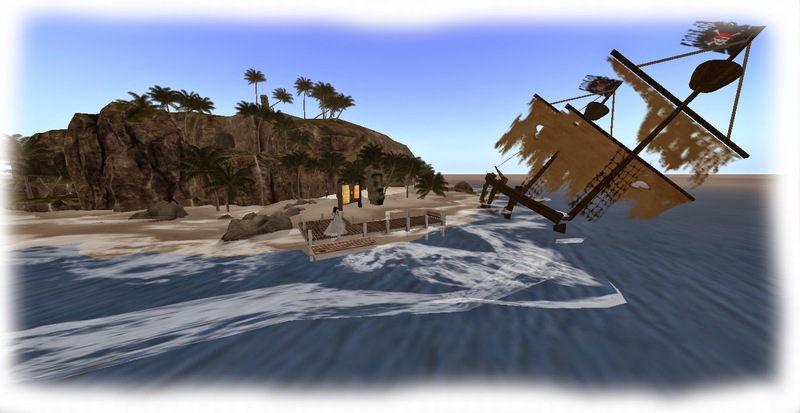 A Pirate ship containing ancient relics from a long lost expedition struck the jagged shores and became shipwrecked. Not knowing what to do with the 13 crystal skulls, pirates frantically carried the sacred treasure chests ashore and hid them throughout the island. No maps were ever found and the pirates mysteriously disappeared only leaving behind traces of their brief visit along with the wreckage and artifacts to be found. 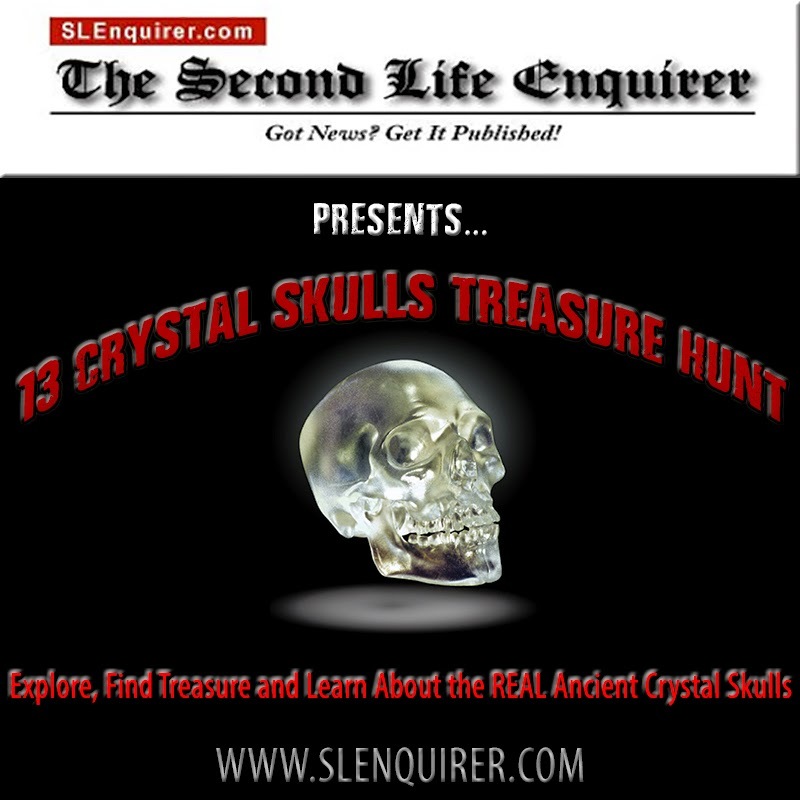 Come explore and unlock the mysterious behind the real 13 crystal skulls and find hidden treasures & ancient relics which you can display in your virtual home or personal collection. The Ancient Mystery surrounding the real 13 Crystal Skulls has intrigued explorers in search of these relics for years. Each Skull is said to contain special powers and ancient knowledge that bring forth healing to those who are ill. For others with sensitivity to spiritual energy it evokes psychic visions for those who come in contact with them. What you choose to belief is at your own discretion. But for those who have felt the presence of one of these ancient skulls; its energy and mystery cannot be dismissed. These Unique artifacts have been found in different parts of the World, yet all appear to be created in the same manner; in the shape of a human skull. They vary in sizes and they are made from different types of crystals found deep within the earth. Shaman, Explorers, scientists, gemologists and others who have come in contact with these remarkable relics have studied their unique design and wondered about their true purpose. Some reproductions where made and dismissed from being authentic because they showed some modern tool marks. However, one of the most well know crystal skulls completely baffles all who have studied “max” in great detail. Skulls are universal symbol of mankind. The crystal skulls are said to be made from one single piece of crystal with no evidence of primitive tools or modern day machine markings. How they were made remains a mystery but said to have been created by Mystics who used the earth's energy and stored valuable information about humankind within each skull. According to legend they hold the key to Life and the future of our very existence. It is said when all 13 crystal skulls are found and brought together, they will reveal all the answers of the universe and save humanity. We just happened to stumble upon this on an evening sail - WONDERFUL! What an exciting excursion to add to our evening! My husband has never done a hunt before so this was a perfect one to break him in - VERY well put together and a ton of fun! Incredible scenery and amazing story line - well done SLE!!! The hunt was a lot of fun and I liked the fact that unlike other hunts I was not loaded down by useless prizes. Also the hunt had some historical significance.made it much more real. It was fun.. Not too hard and I like that. I loved it! It was just fun and i have learned a lot of crystal skulls! Thanks for this great hunt! I really enjoyed it! So nice to find an old fashioned hunt where you can enjoy the scenery while searching for the treasure (most hunts are just ridiculously complicated)! It was a lot of fun. Not so easy to find all the answers. Had a blast though. I had a great time, thank you, I do wish maybe that the book could be a little smaller.